The other day, I heard a gentleman announcing to the world, how the quality of ThumsUp has improved few folds after been taken over by Coca-Cola.If insiders of Coca-cola to be believed, then coke perhaps haven't done anything to TumpsUp's image, quality, taste in either way of positive or negative after taking over. The only thing they have done is to put the by line "A Coca-cola company" in white letters at the base of each bottle that goes out to market. Now if the quality (rather taste) really improves for that single white line carved at the bottom of the bottle, then the gentleman is perfectly correct in his announcement. If not then it's a sorry part that we are still carrying the notion of being compared, stamped, shadowed more worse even to be discarded or copied against a brand, name, place, individuals of non-Indian fame to prove ourselves worth acceptable in our own views, let alone others accepting it. This is what I call Identity crisis and selective amnesia the gentleman is suffering from. Not alone to blame the gentleman, we actually are brought-up this way only. 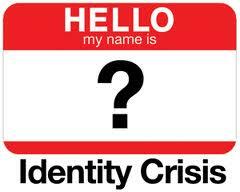 Somewhere our fathers and fore-fathers are equal contributor to this identity crisis at large. Sometime back my father told me a story that happened when he was a kid. Somewhere the confusion with the identity was quite evident at that time also. Well completely out of lack of knowledge though, unlike show-off nowadays. Being from a rural village, education was definitely not on the priority list during that time for the people staying at that part of the world. And for a particular community gracing the village known as "Gauda (doing business of milk)", the word education was as dangerous as playing with a King Cobra. Due to their nature of so called business coupled with the serious lack of basic etiquette of living, the community more often than not end up bringing in one fight or the other. At times the fights were to be so vibrant that the timely intervention of the not so friendly police department was called for. In one such incident the police inspector started his investigation (On how and why Bhuna ended up with a bleeding nose and half a dozen broken bones), with quizzing individuals, starting with their respective names, who claimed to be at the site of the crime. Being acquainted with the gentlemen at hand and their well to do education level, Inspector decided to start with a person who holds the highest degree (Standard 7th dropout: which also took him 15 years of hard work to achieve) among the Gauda brethren, as far as education is concerned. Sea of confusion was waiting for the Gaudas, when the guy known as 'Nakhia', told his name to be 'Laxmidhar' . The confusion has two parts.First of those is : Who the hell is this Laxmidhar and second is how Nakhia suddenly become one Laxmidhar ? One patron among the confused lot, who happens to be the second highest degree holder after Nakhia, came forward to lead from the front on clearing the air of confusion . He made it clear to the rest that Nakhia is still Nakhia, but when it comes to talking with an Inspector , 'Dhar' is just the way to go rather the way to end your name with. Now what followed should go into the history book as the classic case of identity crisis. All Dhars starting with Makhanadhar, Paramadhar, Bikalidhar, Vikaridhar, Saniadhar, Haguradhar, Arjunidhar came and graced the stage. The frustrated Inspector has no option left but to entertain his Lathi (Police Stick) vigorously on the respective backs of all the Dhars to get the real names out. We Indians are in fact a confused bunch. We not only confuse ourselves but also somehow manage to confuse all who gets associated with us. Of late the famous Chinese whisper is giving sleepless nights to our Prime-minister along with a handful individuals in PMO, including our External Affairs & Defence Minister. All the aggressive approach of the mongoloids, the red marks on the stones present on Indian territory, occasional firing across the border and not to mention the poor Naga Chap whose head was clean shaved and marked Red permanently. More than the Chinese, the poor chap has fear for stray bulls now. The reasons for this hostile attitude of Bejing towards us was being explained by scholars of international politics across the globe. The reasons are few to count, starting from we becoming a economic power in this region along with vibrant growth etc. But if you ask me, I would differ and have my own set of reasons which I guess hurt the Chinese more than we as a nation growing. Sometime back while attending a function I got to know the real reason. As China is famous for their food after the great wall of China, it happens to be a regular member in the menu card of any party . So the party in discussion was no different either. The hospitality was at it's best when I was given company by none other than the host Mr. Kohli himself. After making himself comfortable beside me, he violently searched around the table for something before yelling at his servant: "Ramu, beta Achar aur Piyaj nehin diya tune". His Master's voice was gracefully put into action. Before taking a generous spoon of Achar and a fistful of Piyaz, on his plate already filled with Chinese Haka Noodles, he gave me a smile and said: You know this Achar & Piyaz realy go well with Chowmin, and I should try this someday. "Bina Piyaz aur Achar ka maza nehin ata", he said. I was confused, what this Chowmin is all about ? Is their any such dish present in Chinese menu. As this was not enough to irk our helpless neighbours, he went on to ask for a Paratha with a butter slice, a katori of Dahi & Dal (Optional) and a fried lijjat Papad to combine with Mushroom Chilly. During his Indo-Chinese meal he requested me to try some Gobi Manchurian, and went on to describe how he got hold off the best Chinese cook in town for tonight. What the heck, what is this Manchurian, that too prepared by the best Chinese cook of the town. Now thanks to Mr.Kohli and thousands alike for their tireless efforts over the years, the guys at the top of the Chinese helm of affairs decided enough is enough. Can't tolerate the torture administered to our food for decades together. Throw the Panchaseel out of the window and get in touch with Pakistan and get into some serious business of making Bombs. Now they are so adamant that they tend to differ from India in every aspect.Not even in Climate change discussion going on at Copenhagen, not caring for global warming, melting ice at the glacier, shortage of rain and sun burn polar bears. This is how we run away with someone else identity irking a whole generation and generations to follow. We are not only confused but grossly fond of copying. Copying for proving ourselves worth being international standard. For God's sake, they make movies or their movie hub is a place called Hollywood. This doesn't justify that we should come up with all the woods possible. Mumbai :- Bollywood, Tamil:- Tollywood, Kanada :- Kollywood, Orissa :- Ollywood. God knows how many such woods are available for the taking in India. Do you think these page 3 so called socialites who shamelessly flaunt one wood or the other at least thrice in each statement they utter are any different or better than all the 'Dhars' of my Paternal village ? The sorry part is that we feel proud to call our own Movie hub as Bollywood. Same in line we flaunt that Chanakya is the Machiavelli of India. The poor chap Chanakya must be turning in his grave, just thinking how he could be compared to someone who saw the light of the sun hundred years after his death. But you pick up any political science book you will find this notoriously absurd statement written in bold letters. I wish the day will come when we will get out of this UBI (Unfortunately Born in India) attitude and get to respect our own identity. When we will realize that we are what we are. Irespective of naming our movie industry Bollywood we would still continue to produce atleast few hundreds of third graded movies each year. I hope someone is listening and would make sure that we don't call river Ganga as Ganges and figure out what is the possibility of US guys naming Hollywood as Humbai or something.